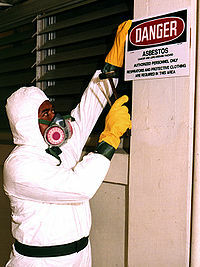 Publishing a video on the Vancouver Sun website this week, Jerome Klett, owner of 4W’s Demo Ltd. reveals how much preparation goes into asbestos removal and he stresses how important it is to do it properly and safely. Watch as 4W’s employees block off a basement deemed for asbestos removal. Visit the Vancouver Sun here to watch the video.